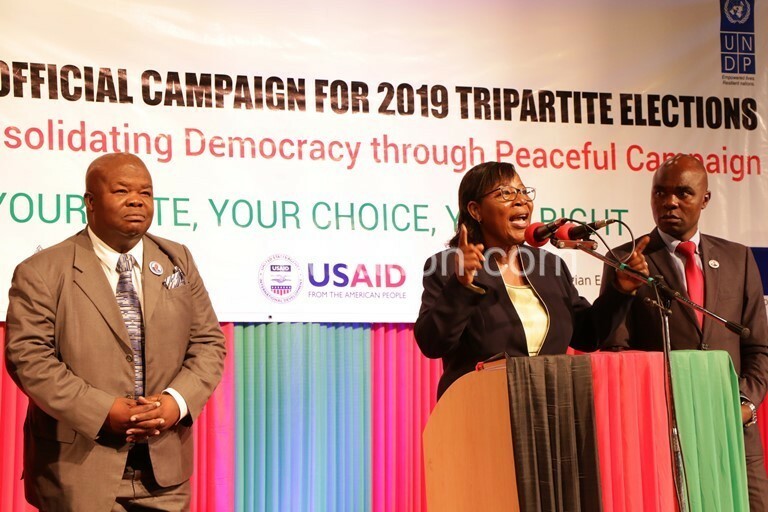 Malawi Electoral Commission (MEC) yesterday launched the 60-day official campaign for the May 21 2019 Tripartite Elections with a stern warning that anyone using foul language or hate speech risks arrest. MEC chairperson Jane Ansah also said contesting candidates and political parties should be given an “equal opportunity to freely hold political campaigns” during the period to ensure a free, fair and credible election. She said: “The political campaign ought to highlight the outlook of the parties and, therefore, guide their perceptions of the State, society and the economy. “The era for taking the campaign period as an opportunity or instrument to harass, humiliate, demonise, defame, intimidate and repress political opposition is over. 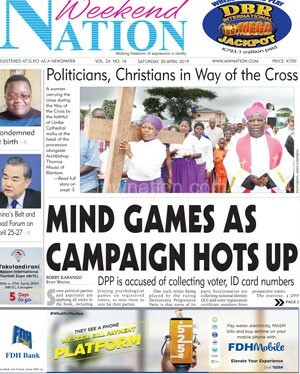 Ansah, who is a judge of the Malawi Supreme Court of Appeal, also spelt out the need for political leaders to abide by the code of conduct which they voluntarily signed when submitting their nomination papers between February 4 and 8 this year. During the presentation of nomination papers, the MEC chairperson also condemned use of hate speech and encouraged political party leaders to employ an issue-based election campaign, including enlightening the 6.9 million registered voters on the electoral process. The MEC chairperson said the electoral body seeks to hold free, fair and credible elections and has the capacity to monitor all campaign activities, including ensuring that candidates stick to the code of conduct which, among others, prescribes that political parties are free to fly their flags or any other party material at any public place in the country. During the campaign, the media is also required to provide a platform to all contesting candidates to ensure that promises in manifestos reach out to voters. 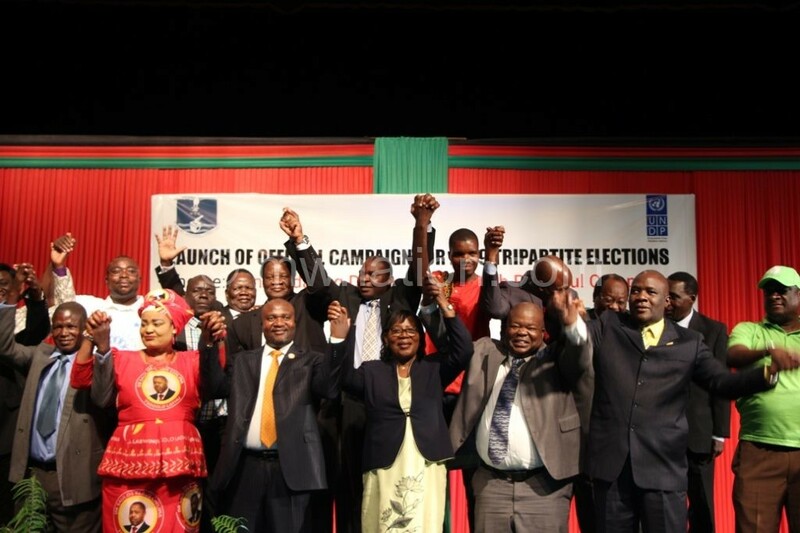 In previous elections, taxpayer-funded Malawi Broadcasting Corporation (MBC) has come under fire for biased reporting against opposition political parties and candidates. Last week, MBC pledged to open up to all parties during the campaign. In her address on Tuesday, Ansah said the State broadcaster will open up and that parties were given a March 15 deadline to submit their messages for airing. While MEC launched the official campaign on Tuesday, political parties embarked on the campaign way back. But MEC chief elections officer Sam Alfandika said the official campaign period is important as it creates an environment of free campaigning for all political parties. Speaking in an interview on Ansah’s warning of arrests, Deputy Inspector General of Police (Administration) John Nyondo said police will set a different pace this time shielding no one. On venue bookings, an issue that has previously stirred controversy, Ansah said candidates and political parties should follow laid out procedures. Senior Chief Kachindamoto of Dedza agreed with Ansah that as the campaign period has begun chiefs should confirm venue bookings on first-come-first-served basis to avoid stirring tension and violence. 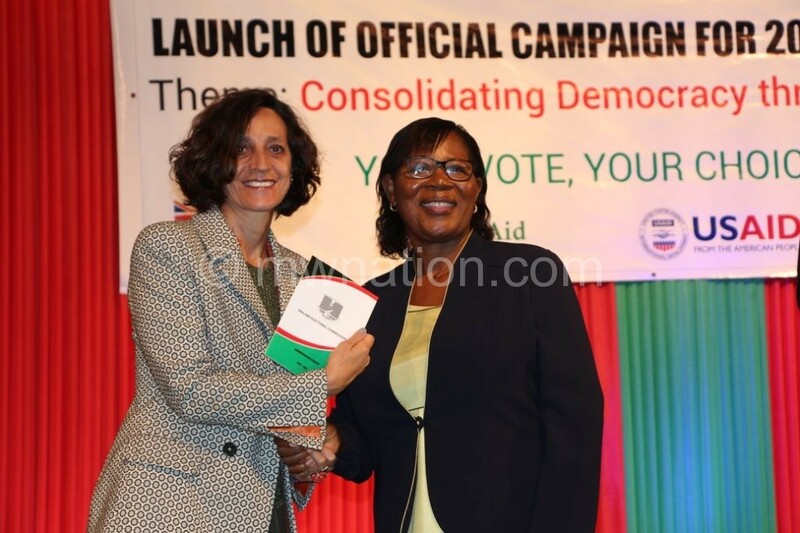 Centre for Multiparty Democracy (CMD) executive director Kizito Tenthani also reminded politicians on the demands of the Political Parties Act which, among others, discourages the use of handouts during the campaign as one way of coxing people to vote for a certain party. Commenting on how MEC will ensure a level playing field with some presidential candidates such as President Peter Mutharika and Vice-President Saulos Chilima having public resources at their disposal, Ansah said MEC has no say on the issue because the two use the resources as an entitlement to their status and office. 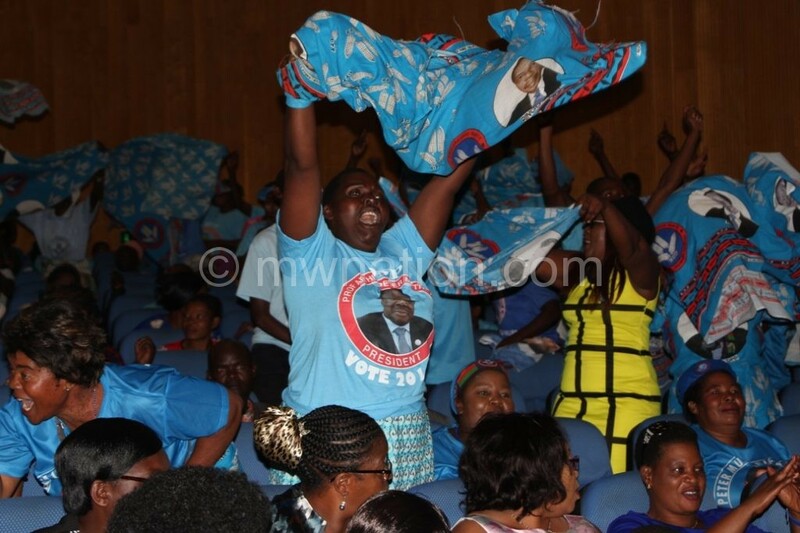 Ironically, while Ansah preached about peace during the campaign, supporters of the governing Democratic Progressive Party (DPP) and opposition Malawi Congress Party (MCP) caused rowdy scenes and stirred tension in the Bingu International Convention Centre auditorium. There were murmurs of disapproval, mostly from patrons clad in MCP colours after Alfandika called Minister of Justice and Constitutional Affairs Samuel Tembenu to collect a copy of the newly-launched communication strategy booklet on behalf of government. MCP supporters also booed paramount chiefs Lundu, Ngolongoliwa and Kyungu when it was their turn to collect their copies of the same. In contrast, the same MCP camp gave a deafening applause when it was the turn of Inkosi ya Makosi Gomani V, Paramount Chief Chikulamayembe and Inkosi ya Makosi M’mbelwa V to collect theirs. 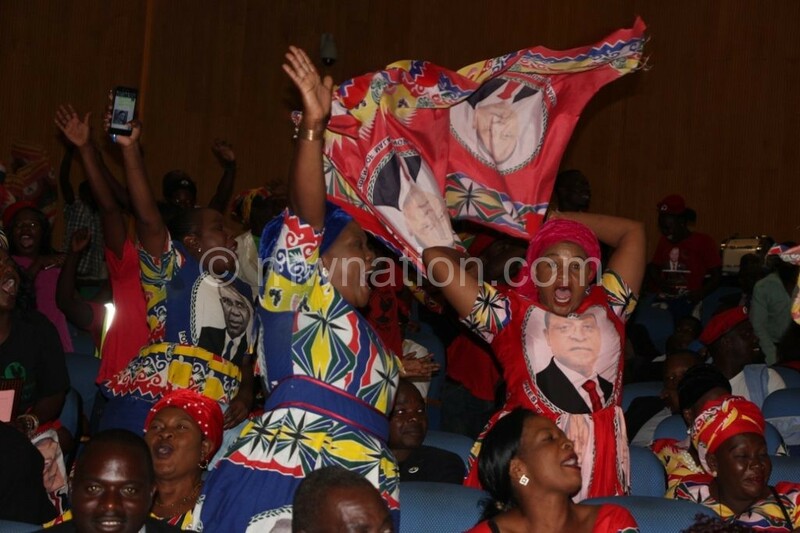 This reaction visibly angered some DPP supporters who taunted the MCP followers and poked fun at the electoral partnership between MCP president Lazarus Chakwera and former president Joyce Banda and her People’s Party. The audience included representatives of most of the country’s registered political parties, but it was only DPP and MCP followers who stole the show for wrong reasons.